this quatuors-quartet has 36 cards. If you print them out, pls glue them om colored hard paper so the cards will not be visible for other players (when the paper will be thin, it maybe possible that the card will be visible for other players). Then you can laminate them an start playing. 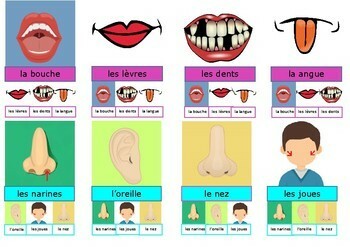 WE HOPE YOU WILL HAVE FUN LEARNING THE BODYPARTS IN FRENCH.